“A hilarious reimagining of its origin story with a wonderfully detailed world and interesting twists on classic characters. You know her from the New York Times bestselling books, Rump, Jack and Red. 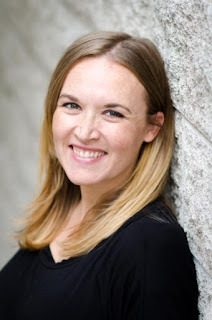 Now, Liesl Shurtliff is BACK with the real story behind Snow White and the Seven Dwarves in GRUMP , a fast-paced and clever middle grade that stars a—you guessed it!—grumpy dwarf who gets tangled up in Snow White’s feud with the wicked queen. Ever since he was a dwarfling, Borlen (nicknamed "Grump") has dreamed of visiting The Surface, so when opportunity knocks, he leaves his cavern home behind. At first, life aboveground is a dream come true. Queen Elfrieda Veronika Ingrid Lenore (E.V.I.L.) is the best friend Grump always wanted, feeding him all the rubies he can eat and allowing him to rule at her side in exchange for magic and information. But as time goes on, Grump starts to suspect that Queen E.V.I.L. may not be as nice as she seems. . . . I love these little middle grade fairytale retellings. They are just so much fun and full of laughter and moments of truth and understanding. How does an author take a beloved children's fairytale and make it new, by bringing it to you from a different point of view. 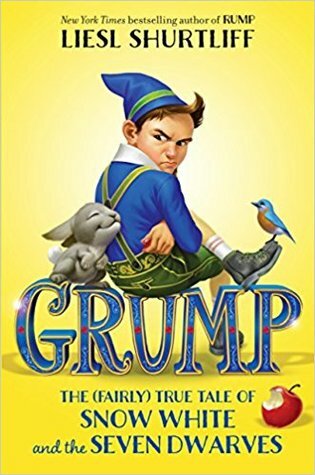 Grump is the story of Snow White but from the point of view of one of our beloved Seven Dwarves. I have to say that Borlen's story is a little sad at times, his life isn't an easy one and he comes by his nickname 'Grump' honestly. I think that Grump's story is a wonderful way to bring the idea of not feeling like you fit in and how hurtful bullying is to our youngest readers, As well as learning to look inward and reflect on who you are and the choices you make. These Middle grade readers re ones who are about to embark on the journey of middle school and high school and will be more inclined to find themselves dealing with the issue of bullying and with feelings of being 'different'. I love the way Liesl uses these challenges in Grump' story and helps him fight back and overcome, finding his place in the world and not relying on others to be that place. Liesl keeps Grump fresh and page turning by giving us unexpected twists and turns, keeping moments suspenseful and engaging. I will say that I was not a huge fan of Snow White but as this is Grump's book and his POV I am okay with that. Yes, I would have liked to have found her as engaging as the original but Grump shines enough on his own to let me wash away Snow White's failings as a character this time around. All in all Grump is simply a wonderful character and I think will be a huge hit ( I can't wait to pass it along to my 9 year old now) with the Middle Grade set. All of these Fractured Fairytales are wonderful additions to your school/classroom/home libraries. Each on a new twist on a favorite fairytale full heart and with a heartfelt lesson included. I can't recommend them enough!